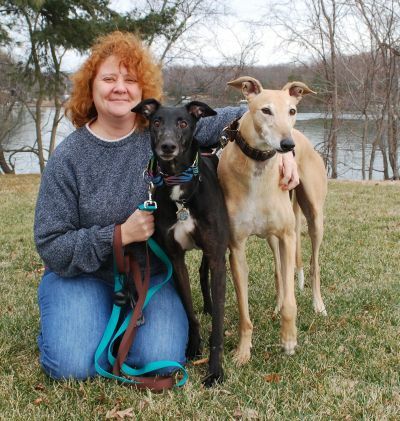 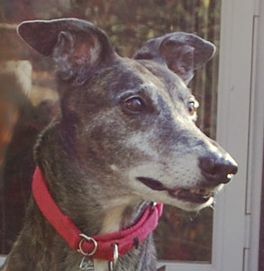 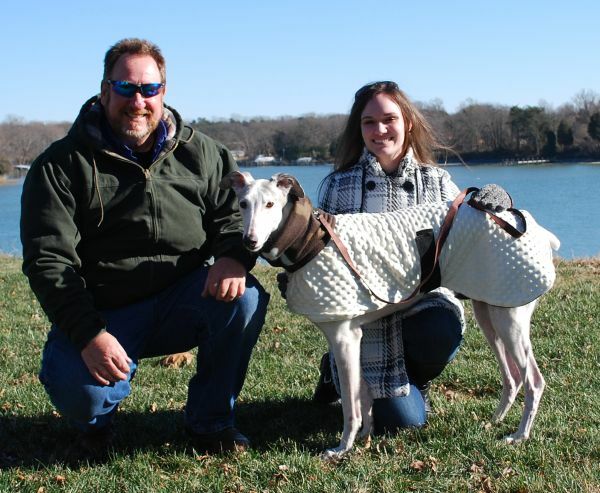 Finding the Right Homes for Retired Hounds in the Delaware, Maryland, D.C., Virginia Area ...and Beyond! 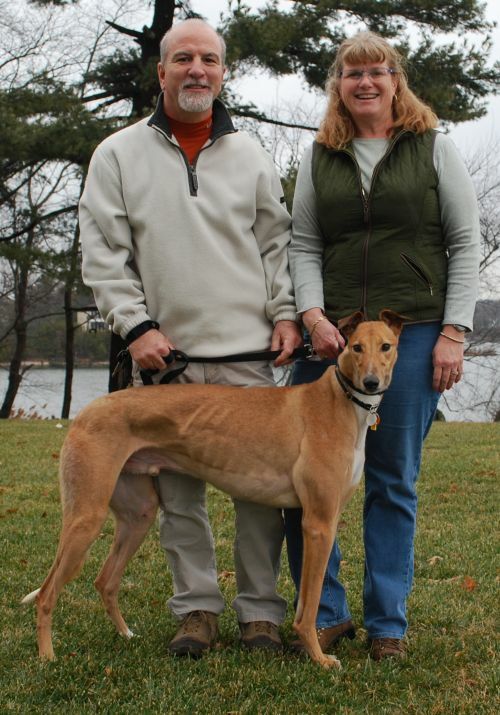 Wizzie - adopted by the GEGR family of , pups that were returned and lived out their lives in a loving foster home..
Duke - adopted by the Gallo family of California, MD. 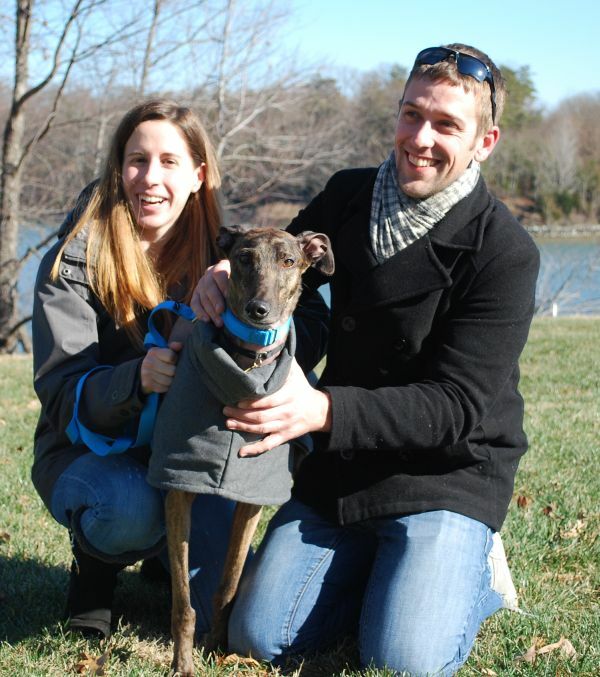 June Bug - adopted by the Wainwright family of Lusby, MD. 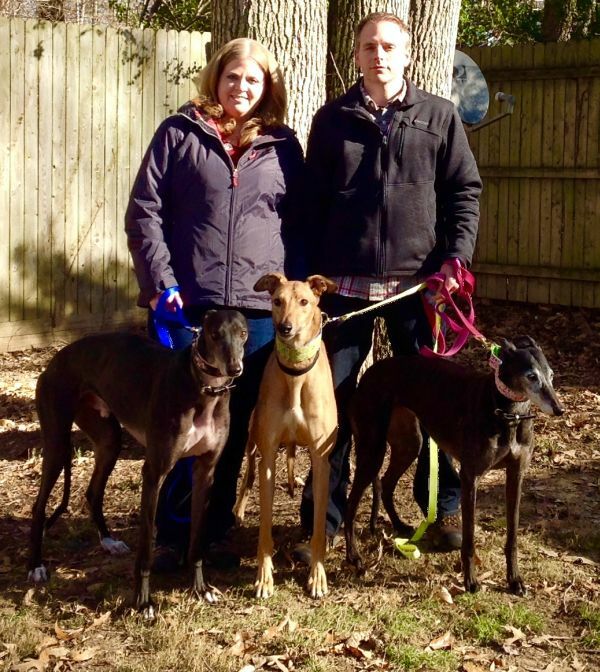 Glory aka Ally - adopted by the Potter family of Woodbridge, VA.
Roscoe kna Rocky - adopted by the Costantini family of Rockville, MD. 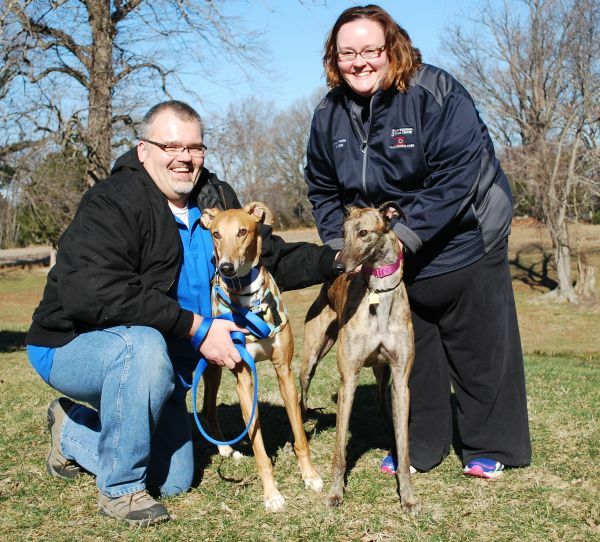 Candy - adopted by the Kessel family of Lexington Park, MD. 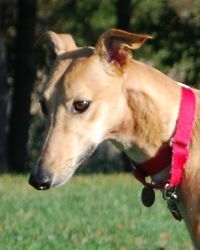 Burn kna Lucy - adopted by the Faraone family of Ashburn, VA.
Shenna kna Blitzen - adopted by the Labella family of Washington, DC. 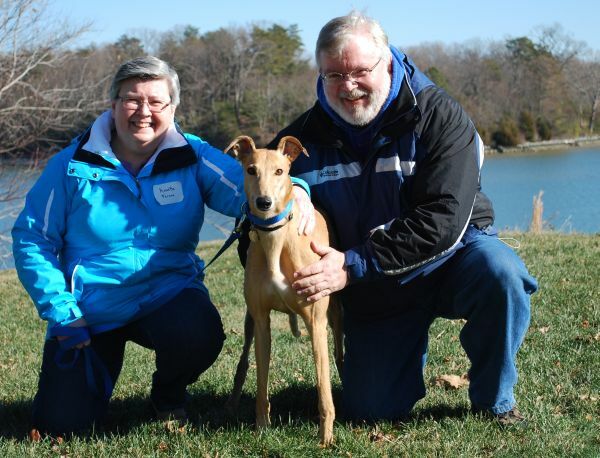 Ice Man nka Knightly - adopted by the Mattingly family of Leonardtown, MD. 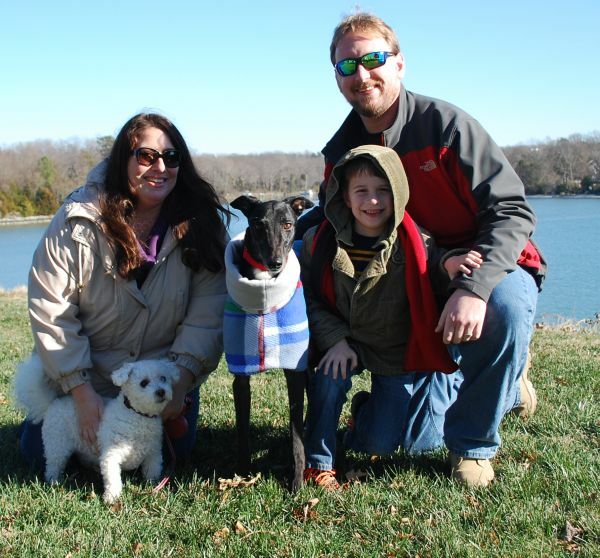 Caprice - adopted by the DePonceau family of Virginia Beach, VA.
Packer nka Tracker - adopted by the Buchanan family of Waldorf, MD. 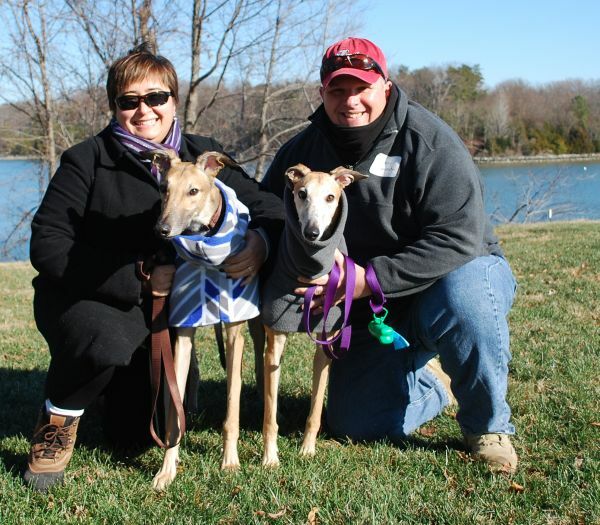 Greyhounds aren't just dogs, they are a way of life!